Nikon has long been one of the top manufacturers in the industry, and their products are still solid options today. The camera giant is continuously releasing new products with enhancements in image quality and performance. 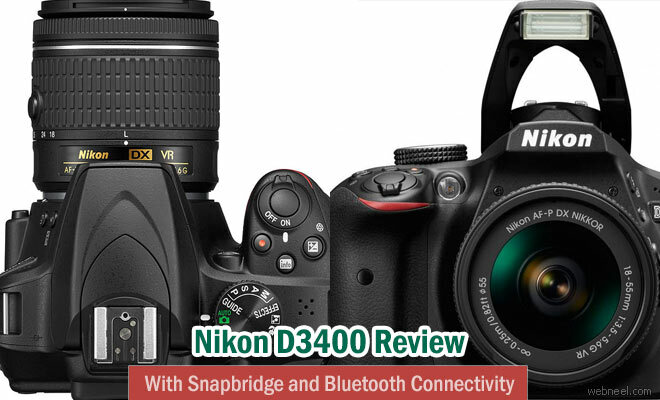 Nikon's entry level DSLR camera D3400 is a modest update to its D3300. The camera's Guide Mode makes it easy to learn how to shoot in various situations. While it doesn't have Wi-Fi, the D3400 has Bluetooth connectivity for transferring images from the camera to a smartphone. It has 24MP APS-C CMOS sensor, EXPEED 4 image processor, Full HD video capture and an easy-to-use interface. The other main addition is Snapbridge, previously only available on the flagship D500 APS-C DSLR. Nikon SnapBridge users can also access Nikon Image Space, a free online image sharing and storage service. Note that because the D3400 does not support Wi-Fi, not all SnapBridge features are available, most notably remote control of the D3400 via a smart device, still image transfer in the original 24 megapizel size, and movie transfer.The new version also almost doubles the battery life with an excellent 1,200 shot battery life.The camera has an ISO range of 100-25600, an 11-point autofocus system and can shoot continuously at 5 fps.The Nikon D3400 is available starting early September for $649.99 with the AF-P DX Nikkor 18-55mm F3.5-5.6G VR.